Valentine’s Day 2018: Parkland, Florida: A disturbed young man, armed with an assault weapon, roams the halls of a school building. He randomly shoots students and school staff as they huddle in classrooms or flee into the halls. Why do such things keep happening in American schools? It is almost impossible to envision the horrific scene in Marjory Stoneman Douglas high school, or to comprehend what the surviving students, their parents and friends are now living through. In contrast to the most infamous American school shootings in the recent past—Columbine High in Colorado in 1999 and Sandy Hook Elementary School in Connecticut in 2012—the Parkland tragedy has generated a powerful movement of student survivors that is capturing the attention of the country. It is too soon to say whether the courage, the emotions, and the articulate thoughtfulness of this student movement will have an enduring impact on public policy. But in the few short weeks since the Parkland tragedy, the students challenging elected officials to do something meaningful about gun safety appears to have set a decidedly different national tone than was the case after the Columbine and Sandy Hook massacres. Day after day, the response of the students in Parkland leads the national news. Over 50 years ago, I attended a public high school in the suburbs of the Twin Cities. The worst violence I witnessed in my Minnesota high school, however, was an occasional scuffle between students in the halls or cafeteria; I never observed a weapon brandished in anger. But my high school experience is not the perspective I wish to suggest here. At about the time I was drifting through my secondary school classes, worried more about acne or the next debate tournament, a small group of students 200 miles to the south was initiating a protest that would ultimately alter American history. This story–of a handful of students in Des Moines, Iowa in the late 1960s who sported black armbands in silent testimony of their convictions–is the one I offer here. The genesis of the Des Moines student protests was the rapidly-building national ferment over the Vietnam War. In the fall of 1965, a couple of dozen central Iowa parents and their secondary school children took busses to Washington, DC to participate in the first mass demonstration against the Vietnam War. On the return trip, these families discussed how to keep alive in Iowa concerns about American foreign policy in Southeast Asia. One proposal—for students to wear black armbands to class on two days in late December—met with general agreement. So, on December 16 and 17, 1965 a couple of dozen students in the 18,000-student Des Moines school system wore crudely-made black armbands to class. The students participating in the “black armband protest,” as it was called, had two purposes in mind. First of all, they donned the armbands to mourn the casualties in the Vietnam War—Americans as well as Southeast Asians. Secondly, they wore the armbands in sympathy with the call by New York Senator Robert Kennedy for a “Christmas truce” in order to encourage peace talks. Although a number of students at several Des Moines schools displayed the armbands, three became most prominent in the public eye: Mary Beth Tinker (age 13), her brother John Tinker (age 15), and a friend, Christopher Eckhardt (also age 15). John and Chris were suspended for violating a hastily prepared school board “policy” forbidding the wearing of armbands to protest the Vietnam War, and Mary Beth, although not suspended, was sent home for the same infraction. The two Tinkers and Chris Eckhardt would see their punishments upheld by the Des Moines School Board in early 1966. Rather than accepting the sanctions, the three Iowa teenagers and their parents allowed the Iowa Civil Liberties Union (ICLU) to represent their interests in federal court. A young ICLU volunteer attorney, Dan Johnston, argued that the school board sanctions violated the three students’ rights of symbolic expression protected by the First Amendment to the U.S. Constitution. Over the next two and a half years the armband case was heard by the federal district court in Des Moines and two circuit court of appeals panels in St. Louis. Eventually, in late 1968, the armband case was argued in front of the justices of the U.S. Supreme Court. Finally, in February 1969, the Supreme Court issued a 7-2 ruling upholding the students’ First Amendment rights and striking down the Des Moines school board sanctions. In the majority opinion, Justice Abe Fortas declared that it “can hardly be argued that . . . students or teachers shed their constitutional rights to freedom of speech or expression at the schoolhouse gate.” In retrospect, Justice Fortas’s opinion established the high-water mark for student rights in America. Throughout the armband dispute, the three Des Moines students were frequently interviewed and photographed by the Iowa press. Much like the students at Stoneman Douglas in Parkland, Florida, the Tinkers and Chris Eckhardt were good copy. They were articulate, photogenic, and knowledgeable about issues beyond their years. In the early 1990s I had the privilege of interviewing the three former Des Moines students—then in their 40s—who were sanctioned for wearing black armbands in the mid-1960s. I also interviewed lawyers, activists and others familiar with the Iowa protest scene during the Vietnam War years. And I examined the legal materials on the case that became known as Tinker v. Des Moines. Finally, I perused the extensive press coverage of the armband dispute. 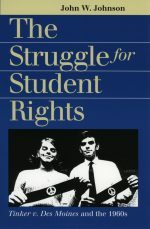 In 1997, the University Press of Kansas published my book, The Struggle for Student Rights: Tinker v. Des Moines and the 1960s. In it, I tell the story of the Iowa armband dispute, focusing on the actions and the thoughts of Mary Beth, John and Chris. Two decades after its publication, I believe that The Struggle for Student Rights offers instructive perspectives on the public stance of the students who survived the Parkland shootings. First of all, the Parkland students in 2018, as was the case with the three Iowa students in the late 1960s, have captured public attention because of their sincerity and incredibly eloquent testimonials. Smart, passionate, camera-friendly young people speaking truth to power has struck a chord with the news media and most Americans following the Parkland shootings. The students at Stoneman Douglas have not only demonstrated high quality critical thinking in their community, but they have also served as an example to young people pushing for gun safety reform in other parts of the country. The Iowa armband protest is still talked about a half century later; perhaps the Parkland-inspired protests will have that degree of staying power. The very intelligence and impressive presence of the Parkland students, however, is proving difficult for some conservative spokespersons and media pundits to find credible. We are hearing accusations that the testifying Parkland students are accomplished actors who are being fed lines from anti-gun interest groups. Similarly, the Tinkers and Chris Eckhardt were denigrated by some Iowans for allegedly parroting their parents’ anti-war views. 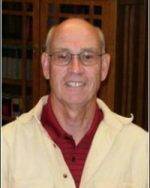 This opinion was voiced even though the parents of the Tinkers and Chris Eckhardt often disagreed with the statements and activities of their children. Such criticism will persist as long as young people raise their voices in the public arena. Justice Hugo Black, dissenting in Tinker v. Des Moines, maintained “It may be that the Nation has outworn the old-fashioned slogan that ‘children are to be seen not heard,’ but one may . . . be permitted to harbor the thought that taxpayers send children to school on the premise that at their age they need to learn, not teach.” Perhaps the best that the Parkland students can hope for is that their strident but peaceful advocacy will persist long enough to persuade some in the middle of the political spectrum of the wisdom of their views on gun safety. A related lesson for modern gun safety advocates to glean from the Iowa armband protests is that such advocacy takes a great deal of time to change the minds of a diverse and contentious population. The Iowa students in the 1960 fought their cause in the courts for over three years and were part of a many-sided anti-war movement that did not bring the Vietnam War to a halt until a decade later. I am one of those who believes the anti-war movement was, ultimately, instrumental in actually ending the Vietnam War. But there are many historians and politicians who differ, believing that the anti-war partisans of the sixties and seventies had nothing to do with the final American withdrawal from Southeast Asia. Given the intransigence of the NRA and other pro-gun advocates, the goal of sensible gun regulation will not be achieved easily or quickly in America today. But the example of the peaceful but persistent Iowa armband protest shows that a just cause may eventually prevail. One significant difference between the Sixties protest climate and that of the country in recent years is that digital technology, ubiquitous today, was just a dream in the armband era. The Tinkers and Chris Eckhardt staked out their territory prior the birth of the internet and cable news. This meant that the protesting students of the 1960s functioned in the context of a much slower and more episodic news coverage than is now the case. By comparison, the Parkland students cannot easily secure any breathing space from reporters, videographers, smart phones and blogs. Mary Beth Tinker recently retired after a long career as a pediatric trauma nurse, having treated gunshot wounds in scores of children. Now in her mid-60s, Mary Beth spends many of her waking hours reminding audiences of her past activism and promoting diverse student voices for free expression in the current environment. Both from her perspective as a plaintiff in the Iowa armband case and as a trauma nurse, she has weighed in on the Florida school shootings. In addition to communicating with her audiences in public appearances, she maintains a professional website promoting the “Tinker Tour”–https://tinkertourusa.org/.